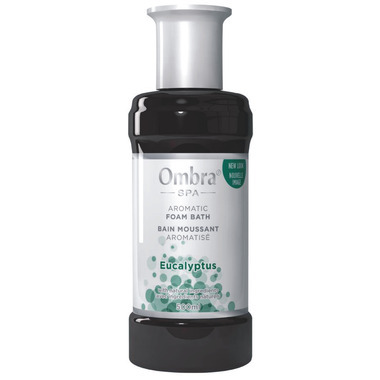 Love the Ombra line of bubble baths - scents are not overpowering and the effect is a silky smooth sensation on the skin. I have sensitive skin, and the essential oils in this product are fine. Have been using the Lavlendar Foam bath for a couple of years with my grandchildren. Lots of bubbles - no tears when it is in their faces. Smells wonderful. So far only used this one once - but seems the same - with a wonderful fresh aroma. we are using this product for last few years, it is really good kids and adults. Great smell, non-drying, lots of bubbles, great for kids and adults - especially for congestion. Great product. I was looking forward to receiving this product, but when it arrived I read the full ingredients list and to my dismay there are some ingredients that are on published "avoid" lists! A shame as it has a wonderful aroma. Make lots of lots of bubbles and my daughter is very happy. It's natural but it's not organic. A great product. Has a lovely aroma and is skin friendly.